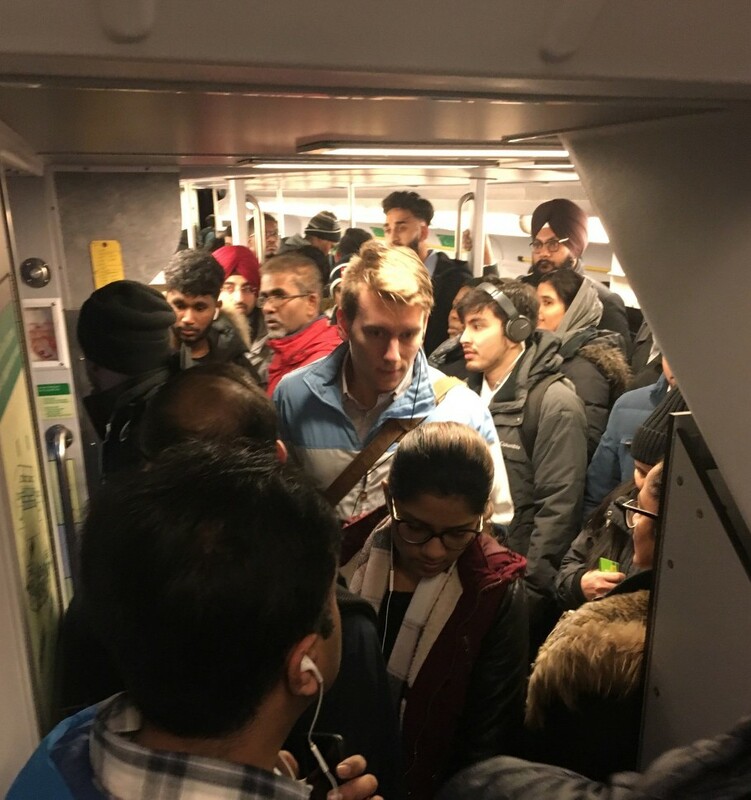 After weeks of watching social media videos showing GO train platforms surging with commuters and passenger cars bloated to capacity with riders trying to get home to Brampton along the Kitchener line, Ontario’s transportation minister has apologized to travellers for a poor rollout of schedule changes earlier this month. Jeff Yurek had praised a 25 percent increase to GO train service along the Kitchener line when it was announced in December. 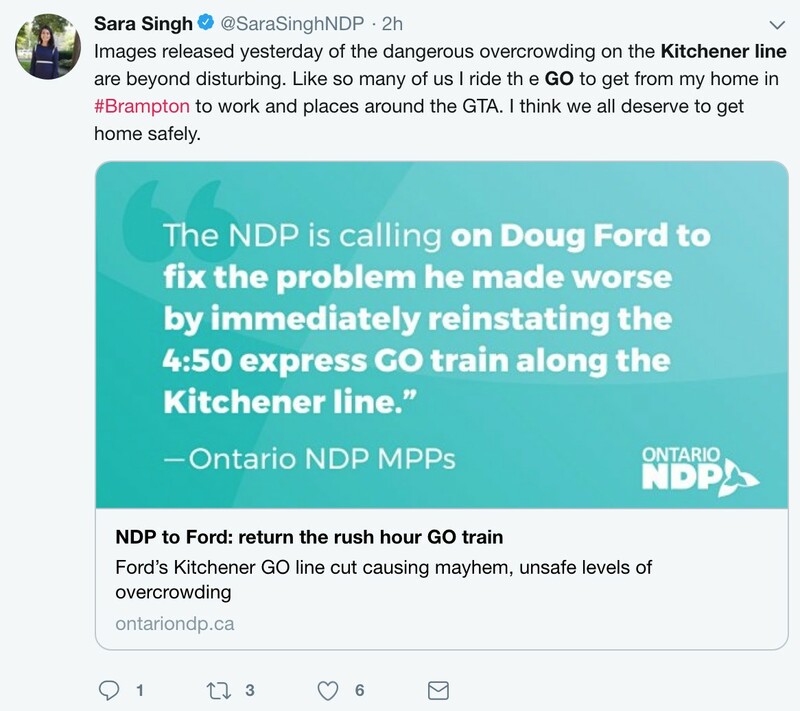 However, when the rollout became a reality in early 2019, the elimination of a 4:50 p.m. express train out of Union Station in Toronto, which forced thousands of commuters to board an already packed later train, caused havoc and safety concerns. The ill-conceived schedule change led to daily scenes of crushing crowds on platforms and inside rail cars. It’s uncommon for the provincial government to make such public criticisms of its own regional transit agency, which oversees rail, bus and other transportation services, as well as transit planning and infrastructure, across the Greater Toronto and Hamilton Area. “Unfortunately this didn’t work out as well as had been planned. I apologize to the riders of the Kitchener line, but we’re making amends and we’re going to make sure that it’s fixed in a timely manner,” Yurek added. Originally, express trains departed from Union at 4:50 p.m., 5:02 p.m. and 5:20 p.m.; the schedule change altered the times to 4:35 p.m., 5:02 p.m. and 5:27 p.m. The elimination of the 4:50 p.m. train, which multiplied riders trying to get on the 5:02, has drawn the most ire from commuters. 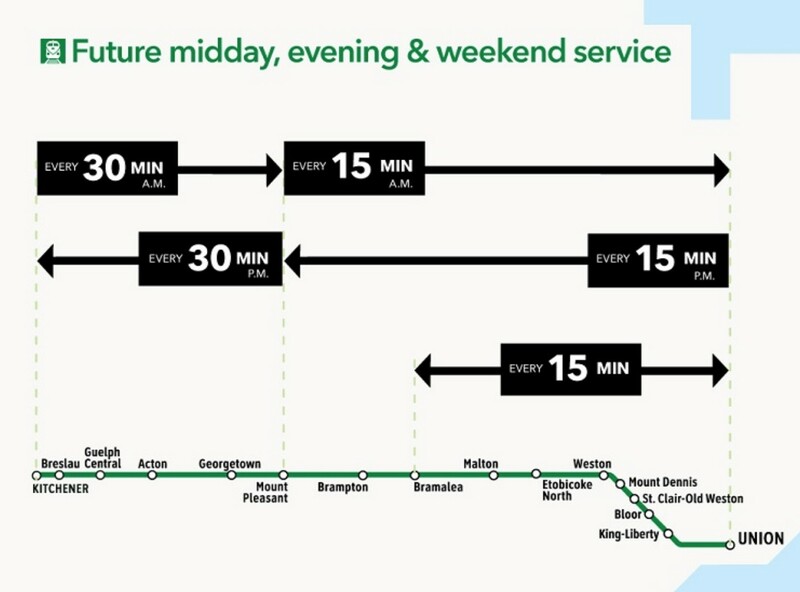 Go train schedule before the changes. 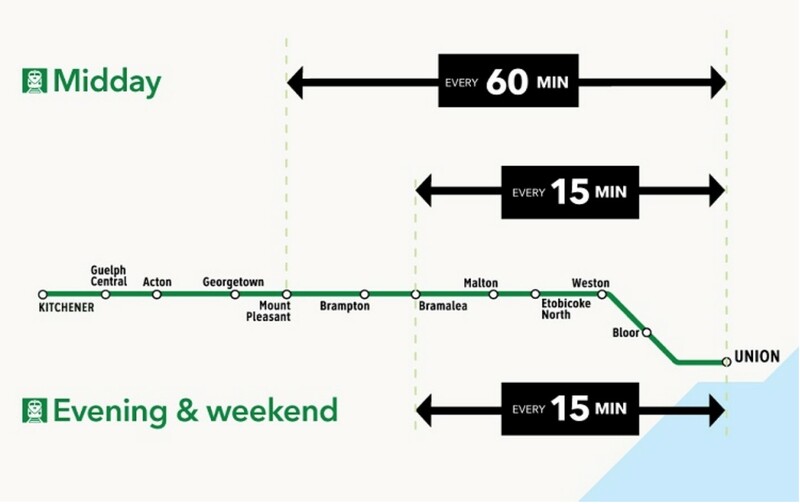 Planned future Go train schedule. Yurek said that since the backlash he has worked with Metrolinx to put additional cars on the train, which has added 600 seats. However, the congestion remains because additional stops were added, packing in more passengers en route and turning the 5:02 run into something less than an express train. A Twitter photo from a commuter on the GO train into Brampton. “When we increased the line by 25 percent … there was a change in the schedule times that people had to adjust to, but at the same time we did see an uptick in the [number] of riders that are using that line at this time,” Yurek said. How such a significant increase in ridership could have occurred so quickly, between planning and rollout, is unclear. And why an increase in demand wasn’t better anticipated also raises questions about how the rescheduling plan was conceived. Critics have said it was a Band-Aid solution slapped together after Premier Doug Ford killed the previous Liberal government’s plan to build a freight-train bypass that would have made all-day, two-way GO service to Brampton possible at last — something thousands of daily commuters in the city have been screaming for over the past two decades. 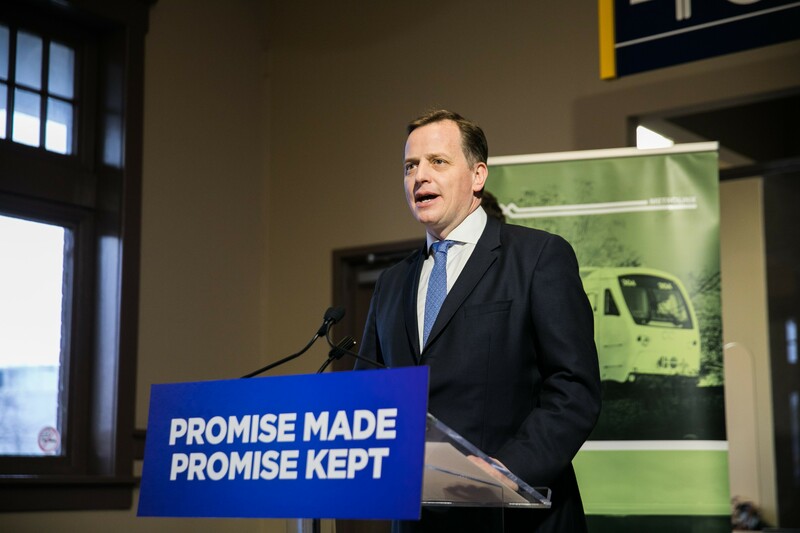 The project had been underway for more than a year before Ford scrapped it, citing cost and claiming an “enhanced relationship” with CN, which shares the tracks, made the project unnecessary. The schedule changes that were part of the PC government’s alternative would bring relief to Brampton riders, Yurek said in December. They have done anything but, leading to furious posts on social media condemning the Ford government for a poorly thought-out approach. Angry commuters aren’t the only ones who have been breathing down the province’s neck. In a letter to Yurek earlier this month, Brampton Mayor Patrick Brown expressed his own dismay at the government’s bungling of the situation. 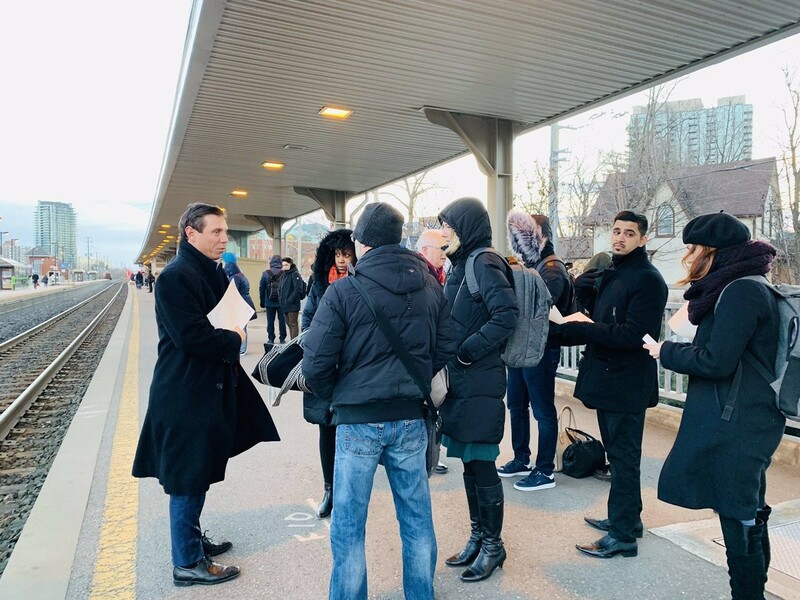 Brown met with commuters in Brampton after sending the letter, which asked the government to reconsider the cancelled express train and also add coaches to existing trains to meet passenger demand — a request that appears to have been met, in part. Mayor Patrick Brown talking to Go train commuters. Despite Brown’s rocky history with the PC party as Yurek’s former boss, the minister maintains they remain on good terms. “I have a great respect for Patrick Brown and his role as mayor of Brampton. I think we’ve been on good terms,” he said, noting that Brown’s “constructive criticism” has been useful. He extended an open invitation to Brown to visit Queen’s Park to discuss the transit issues, noting he would also be willing to travel to Brampton to meet with the mayor. Throughout the controversy around the Kitchener line change, other politicians were also heeding the complaints. A joint statement by MPPs from Kitchener, Waterloo and Brampton accused the government of only making things worse for commuters.